I am privileged to be reviewing another reliable pocket diaper from another terrific Canadian WAHM! 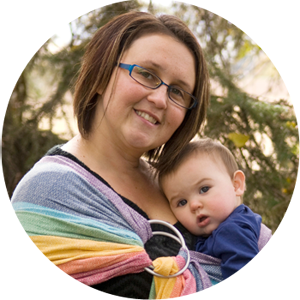 Mom Amber works from her rural home in Ontario, Canada and, like so many of us, became passionate about cloth diapering after learning all the tips & tricks, ins & outs of the gear and industry after cloth diapering her first baby. Now aiming to lend her own contribution to the cloth diapering community, she has founded Buns Up Baby, a fantastic little online shop for all things pocket diapers and accessories! Buns Up Baby carries two types of pocket diapers--the original Minkee Buns and the latest & greatest BunsUp 2.0 Diaper (released only this week). These diapers start at only $9.99/piece at the cheapest price point, and they come in a huge variety of sweet little prints! Also up for sale on the site are handy wet bags, pail liners, and extra inserts--both microfibre and bamboo. Up for review, Amber sent me one of the original Minkee Buns diapers in the sweet "Milky Way" cow print. This is my second cow print diaper and I absolutely love how cute these look on my toddler as she waddles around. With gender-unknown Baby #2 on the way for our family, I also love that it's fantastically gender neutral (Buns Up Baby has plenty of gender neutral prints as well as prints specifically for boys or girls). This pocket diaper fits the way I love a pocket diaper to fit. The rounded tabs laid much flatter than I'm accustomed to with several other brands I've tried (I often find round tabs curl, but these weren't nearly as bad as some other PUL types I've tried recently). Crossover snaps on the tabs mean that small-waisted babies can get an even snugger fit. Hip snaps on both sides mean a nice trim fit on the hipbones as well as no "wing droop" (where parts of the diaper slide out of the waterproof layer) so that leaks don't happen. I have never had a leak while using this diaper. The pocket itself has a microsuede inner lining on the top which I love for messy toddler diapers. Since I don't use a diaper sprayer or liners, I rely on the oldschool "dunk and swish" toilet cleaning method for soiled diapers. I find that at this phase of diapering, microsuede is far kinder to us than fuzzy microfibre is (since it's perfectly smooth, it comes quite clean even when shaken and even cleaner when rinsed). Stuffing at the back, this diaper has a nice snug, scrunched up elastic in the back waistband where the pocket opens, so stuffing is easy even for larger hands like my husband's. The pocket can accomodate being stuffed with whatever you prefer most--compact folded prefolds, microfibre inserts, bamboo inserts, or even stacked (doubled) inserts for naps or nighttime. 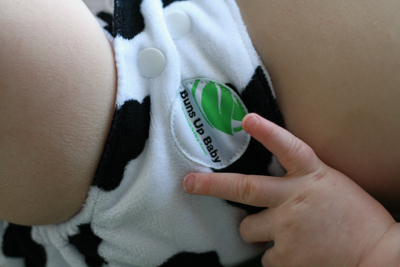 Each Buns Up Baby pocket diaper comes with one microfibre insert included. It was the typical type of microfibre insert that comes with all the Chinese-manufactured diapers, and for daytime wear, it did the trick (I double stuff with items from my own personal stash for naps or nighttime). Read on to find out how you can win one of these lovely diapers for your own little one! Head over to Buns Up Baby right now and browse through all their cute diapers & accessories! 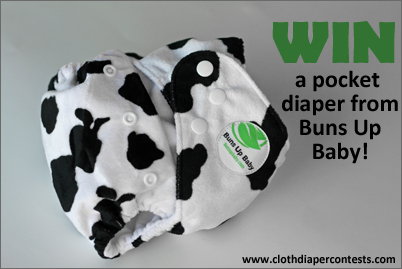 Buns Up Baby is also offering one lucky winner a free pocket diaper of their choice! Final details: I received financial compensation for administering this review & giveaway as well as receiving the sample items free of charge. All opinions shared are my own, and I was not persuaded to share anything other than my own honest thoughts. Other users may have different experiences with this product than what I have shared. This giveaway will end on April 1, 2012 at 11:59pm MST and is open to residents of Canada and the USA only. Winner will be chosen randomly using random.org’s services. The winner will be contacted by email and will have 48 hours to reply before a new winner is chosen. The prize will be supplied and mailed out to the winner by the sponsor of this giveaway. I like Buns Up Baby on FB. I love the BunsUp 2.0 Diaper in Giraffe. So cute! I liked Cloth Diaper Contests and Giveaways on FB. I would like to try a 2.0 pocket diaper in blue berry. I follow with Networked Blogs as Karyn Mayuk. I like Buns Up Baby on FB as Olivia Lambert Lasting and thanked them. Oops! I forgot to include my email address in the previous comment, so I deleted it. 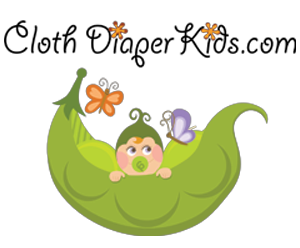 I like Cloth Diaper Contests & Giveaways on FaceBook, too! I voted for CDC&G on Picket Fence! blogged about this giveway.. thank you! I would like to try the blue berry pocket diaper. I visited Bunsupbaby and would love to try the silky pattern bun in football fan (as DH is a HUGE soccer fan!). 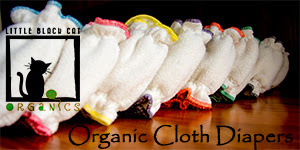 I liked Cloth Diaper Contests & Giveaways on Facebook. I followed @CBcontests on Twitter. My username is @aakeating. I'd be interested in trying the Blue berry 2.0 cloth diaper. I would love to try the .02 Pocket diaper in the Jungle Fun Print. I'd like to try a BunsUP 20 Diaper. I follow on GFC as Kristi Freeman. Tweet this contest and tag @CDcontests and @BunsUpBaby (max. 1 tweet per day).